A TALE OF TWO CONCERTS? The group began with Ulysses and Clapton put the gymnasium under pulsating currents of warm water with his unerringly sensitive use of the wawa [sic] pedal. At the outset, with the opening wall of sound announcing “tales of Brave Ulysses, the group established their absolute virtuosity…[T]his number corresponded more to the recorded version then anything else that Saturday night. 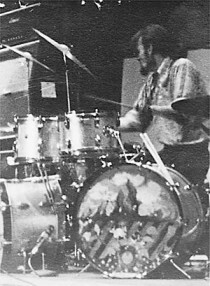 Baker, here as throughout, laid down an unyielding beat, and the three got together on an accelerating Coda, which is not on the album version. With “Sunshine of Your Love”…they got into their extended improvisation work…After going through the entire song as they recorded it, they doubled the rhythm and then just played for the next quarter of an hour. And it was at this point that my disappointment with the group began to stare me in the face. Well they didn’t play it like the album – Clapton’s bridge solo does not include the “Blue Moon” quote and is longer. In the Rolling Stone version the ¼ hour was corrected to “10 minutes”. The shortcomings were again apparent in “N.S.U.”. This is one of their own compositions and I think it is a terrible song both melodically and lyrically. Yet I enjoyed it most when they were actually playing and singing the piece…Once the improvisation began, wholly unrelated to the context that the song had set for it, [melodically] indistinguishable from the improvisation that preceded it, the whole concept of interaction, the whole concept of a band was destroyed. NSU was a clever play on beat juxtaposition as Heineman accurately describes. It was one of Jack’s early compositions with very simple lyrics (no Pete Brown here). It was a great jamming vehicle and this version has great changes in dynamics, tempos and includes a Baker solo. Landau says it was “unplanned” and resulted from amp power failure. I don’t know – to me Jack and Eric were teasing Baker and the drop out point is smooth and Baker continues without hesitation. Landau appears not to have heard of collective improvisation. So was Clapton’s guitar breaks: whines, cat meowing, other fragmentary sounds (he owes something of his bottom-fret climaxes to B.B. King). The solo alternated between legato runs, usually ascending, and hard nosed chord work. Improvisation means the creation of new musical ideas spontaneously. It does not mean stringing together pieces and phrases of already learned musical ideas. It means using these phrases as a basis for exploration and extension….Clapton’s problem is that while he has vast creative potential, at this time he hasn’t begun to fullfill it. He is a virtuoso performing other people’s ideas. One got the nagging feeling that the whole solo could be charted out to show the source of every phrase. Landau looks at jazz with rose coloured glasses. Many jazz improvisations are just what Landau criticises here – “stock phrases’, “standard changes’ etc are freely admitted means to improvise in jazz. The giants – Parker, Coltrane, Monk, Evans, Davis, Gillespie etc were GIANTS for their incredible ability to complexly improvise at will. However one can still hear their ‘stock’ phrases and quotes from other songs. Baker, who is the badest looking English cat I have ever seen…performed an extended solo showing strong, strong chops and he never misses. But the solo was strangely dull..almost exclusively with 16th-note divisions, done mostly on tom-toms. They did two instrumentals, a slow blues with another fine Clapton solo that switched from double-time to the original tempo a couple of times. “N.S.U.” was followed by what was for me the highlight of the evening…a slow blues…”I’m Sitting on Top of the World”. This tune is a white country blues, originally done by Bill Monroe, and recorded a few years ago by Doc Watson.. Cream… slowed it down to a slow crawl, with a heavy, heavy beat. They performed the number as a straight blues with little improvisation and it was probably the shortest cut they did all night. Clapton’s guitar playing, which was here given the full melodic range of a blues progression to play itself off again (instead of the simple root chord…), was among the the best blues playing I have ever heard – straight B.B. King. Bruce’s singing, which was generally incredibly better then it is on records, was at its best on this cut. Heineman is clearly referring to “Sittin’ On top of the World” – must have forgotten Jack’s vocals but Landau didn’t. Well Landau shoots himself in the foot here. This “Sittin’ on Top of the World” is not the Monroe version – the song is correctly credited to Chester Burnett. Cream’s is firmly based on, but significantly varies from, Howlin’ Wolf’s Dec 1957 Chess recording, including Jack’s vocal phrasing. It was originally recorded by ‘The Mississipi Sheiks on Feb 17 1929 for the Okeh/Vocalion label. The solo is not straight B.B King – has Landau really listened to B.B.? Clapton has built this song into a powerful expression of HIS blues playing – it is straight Eric Clapton, though he clearly ..”owes something of his bottom-fret climaxes to B.B. King”. It is a classic Rock Blues – the drums and bass alone. Then an up-tempo, 16 bar blues, with Baker doing some good brush work behind a Clapton solo. I would like to describe that solo, but I can’t. My notes say, “God!” That’s all. All I can say that for two minutes or 12 hours )I have no idea exactly how long it was) that Clapton soloed, I got as high up and far out as I ever have on jazz. This is one of the best “Stepping Out’s” available. Turn it up loud and go with Heineman. Landau wouldn’t have liked John Coltrane – 30 minutes of improvisation from him alone. The, with Clapton laying out, a freight-train blues featuring some Bruce pyrotechnics on harmonica, including a vocal-harmonica duet with himself …a la Sonny Terry. It was a remarkable display, though musically not altogether rewarding. “Stepping Out” was followed by a harp show piece by Jack Bruce which was easily the low point of the evening. Jack plays one of his best if a bit long. They finished the long set with Toad … a short Clapton solo and a long Baker exercise, again, mainly with 16ths, received a standing ovation. They closed with Baker’s show piece “Toad”. I think it would have been more effective if Baker hadn’t taken an unplanned solo in “N.S.U.” when the power momentarily went dead on Bruce’s and Clapton’s amps. Baker is a solid drummer who gets a fantastic sound out of his drums. However he is extremely repetitious, not particularly creative, and highly overactive. I found it terribly boring. 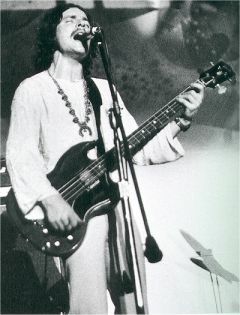 Cream owes its repertoire to a number of sources…It probably would not have been able to assimilate the blues concept without the pioneering work of the Stones and Beatles. But the resulting amalgam is all Cream, and it is a moving, powerful original sound. Cream have been called a jazz group. They are not, they are a blues band and a rock band…Ultimately what we heard were three virtuosos romping through every trick in the book, occasionally building it into something, occasionally missing the mark altogether, but always in a one-dimensional style that made no use of dynamics, structure, or any of the other elements of rock besides drum licks and riffs. To say this, strong as it sounds, is not a condemnation of the group, only a criticism. 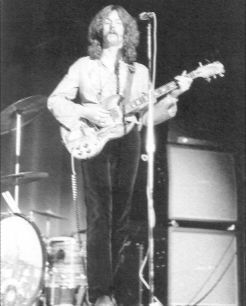 I want to make it absolutely clear that there aren’t two or three American bands that come within miles of Cream … Compared to Cream, such groups [Doors, Jefferson Airplane, Big Brother] don’t have the technical equipment, the understanding of their instruments with which to begin to play rock. Heineman obviously doesn’t know anything about British Blues/R&B and Baker/Bruce/Clapton’s involvement from the seminal days. 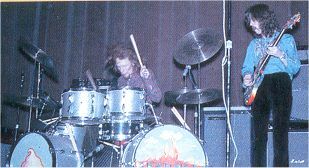 All improvisation is a bit hit and miss – Cream are all hits this night. Cream were one of the early ‘riff’ bands but they used it sparingly – Ulysses is all melody, Sunshine – Riff, N.S.U – A beat/chording shuffle, Sittin’ – Blues progression, Stepping – a variable riff (originally a piano boogie piece), Traintime – train sound mimic (harp and drums), Toad – opens with a riff but all drum solo. Throughout the concert Cream conducted itself with a dignity and charm which is unmatched by anything we have in this country. They refused to patronize the audience…They played their music honestly and they sincerely hoped people would dig it. These comments were not included in the Rolling Stone review. Taken as a whole, Cream is in a transitional phase of their career at this time. Having mastered the rudiments of their instruments they are rapidly approaching the point where they have to ask themselves where they want to go. Currently, their live style and their record style reveals both their talent and also their aimlessness. As it stands now, the whole is not equal to its parts …yet the Cream, even now, are so much more then than simple master of their instruments. When they get over their virtuosity hang-up – which is what I think their kind of virtuosity is – I think we might really see something…[W]hat we saw Sunday morning was the Cream warming up. The real Cream is still on its way. Landau is obsessed by the virtuosity thing but then puts them down by saying they have “mastered the rudiments of their instruments”. Virtuosos are clearly on a higher technical plane then that! Cream were jamming because that’s what they did best. Nice catchy songs they left for the studio and even then they were often relatively complex and required their individual virtuosity to lay ‘em down. Landau also takes a great lump of journalistic licence – “When an interviewer asks one of the other members of Cream if they think Eric is the best lead guitarist playing today, they will invariably reply that he is second. It goes without saying for them that B.B.King is the greatest.” Well I’d like to find those interviews. No interview of Jack or Ginger that has been sighted by me, or my fellow collectors, has contained any such statement. On the contrary they were full of praise for Eric. Ginger quite clearly states that they are the best in the world! One of the interesting things is that neither reviewer talks about the ensemble playing which is one of the strong points of this concert. N.S.U. in particular finds them playing around and doing the round-robin style of controlling the song. It really is not dominated by Clapton at all - they all share the load. Landau, in the “Rolling Stone” version mentions that “Disraeli Gears” is pervaded by the influence of Albert King and Chuck Berry. Considering that that was recorded 14 months previously and that Ahmet Ertugen wanted a white Albert King, then it is irrelevant except as another slash at Eric. The editors of “Rolling Stone” clearly encouraged Landau to sharpen his attack on Cream and Eric in particular, as compared to the original review. Baker gets a fair working over as well with only Jack getting some compliments for his singing. We have Heineman’s review plus the bootleg – Landau was wrong. Eric Clapton was a great guitarist, breaking barriers and having a huge influence on other rock guitarists - "he has to be heard to be believed". As was Bruce and Baker on their respective instruments plus the band as a whole. "As a lead guitarist Eric [Clapton] is really every bit as good as people have been saying he is (Jon Landau, "Blues Breakers/Fresh Cream," Crawdaddy! August 1967, p. 15). "Among his other highpoints in journalism were that he was the guy who told Duane Allman that they should tighten up the songs and make Greg ditch the organ and make him a typical lead singer frontman type of guy (though in his defense Jon did publicly admit that he was wrong for having said that in a review published a few months before Duane death). Landau also wrote a review with the statement "I have seen the future of rock and roll and his name is Bruce Springsteen..". Bruce's US record company used it in print ads and Bruce must have liked it too, since Landau has been his manager since the late 70's. Keeps him from sharing his opinions, which is a good thing."